First of all I would like to say I am very excited about the project and would like to say huge thanks for your time and efforts! I have started to draw only 1,5 years ago and it was pastel that immediately draw my attention. As I live in Austria and here there are absolutely no offline pastel courses all I know is only due online education. I come from Russia and there many pastel artists organise recently online courses with an individual feedback. I find online education very comfortable and flexible. I look forward to joining pastel academy and study further! Hi Ekatrina. Nice to hear from you in AUstria. Yes the Academy has really been designed to be a really comprehensive tuition base for all artists in pastel – but the basic training is relevent to all artists too. It will be great to have you on board! Hello Heather, I am well into my retirement years. It was on retirement that my real passion for painting got fired up. My learning has been from books, videos, demos etc, never any real live tuition apart from a couple of very enjoyable workshops which have got me to a reasonable standard. I have been approached on several occasions, when showing my work at various exhibition, and asked if I demonstrate or do workshops. I have actually managed a couple of demos at my own local art group, having had my arm twisted. I do feel that there is a need for tuition for beginners in pastel around this area, so this is the area that I would focus on, demonstration techniques and the running of good helpful and informative classes for beginners. Regarding the cost, I would be happy around the £50 mark. You have to be admired for all the effort and work you have put in so far, and will obviously have to continue to do for the future success of your project. All is going well but it is a lot of work for sure. Your comments are one of the reason that I am also running a membership level for would be teachers of pastel. within that module there would be information specific to pastel and other info which is specific to teachers – but I know how much that will spur some good artists on to spreading their own experience into the newbie market. hope I will be able to afford what you eventually decide to charge. I love doing landscapes, seascapes, buildings and animals, I am not very keen on doing portraits, so would I still have to do portraits? Also you say you are going to do live videos, what sort of time of day would you be doing these as I don’t want to miss them if I am at work? I also am not that competent using a computer and need to find out how to be able to show my work on your forum from photos I take on my camera! How useless am I! Ha Ha! Believe me it has beena trial by fire to get me into so much techie stuff to get this off the ground! I totally sympathise but the stuff I now do without even thinking – eg uploading photos, loging in to webinars etc . I would have worried about 6 months ago. I am very much aware that my artists will not be predominantly computer wizzards, and I am doing everything I can to make everything simple. Working dark to light – yes totally different from watercolour! But you will get it – I can now go from watercolour into oil or pastel with ease. But at first it was real wierd for me to work light to dark when first doing watercolour. No you will not have to do portraits if you dont want to – but the training will be there if you do want to learn simple portrait drawing methods (which will help you animal work). The live training will probably be monthly – and will likely as not be in the early evening GMT. Im in Spain so it will be one hour later and our US friends – it will be 5-7 hours earlier. The thing is about that training – it will all be recorded and put up on the site shortly after the event anyway, so you will be able to see and hear it all – but not ask question(which you can do when attending ‘live’). Hope that makes sense. I have painted with pastels for a year or two but still relatively speaking at a basic level compared to people in our local art groups. New advice would be great. I am particularly looking for more into buildings and sport stadiums. You might be interested to check my next Leisure Painting article – I have one of Ryan Giggs in front of United. I did a few stadium based pieces too. Yes everything will be through an online subscription. Many subscribers will be from the US and I was considering charging in dollars . (heaven knows what we will have to deal with in the UK.) But one thing is for sure – the Academy will be a better option than going to live workshops – haveing done so many of those over the years I know how to make it a better learning tool. I have many of the thoughts that others have and am very excited to be ” in at the beginning” of such an exciting venture. I am a pensioner and therefore money is tight, also as we have just voted out of the eu I am sure money will be even tighter for a period of time but having said that I desperately need this type of tuition so whatever price you end up charging I will endeavour to pull my belt in tighter so that I can be part of it. Good luck with the academy before I go I have just this minute taken delivery of a full set of homemade pastels from Gordan Becin so life is very exciting. Yes Gordan sent me some – they are lovely. Clever man. I love the fact that so many people are excited about it! I am too. So watch this space – and be assured I am working very hard to get the launch together. I can’t tell you just how pleased I am about this! I love the idea of the Academy and it’s mission to raise the awareness of Pastel as an art medium and to create a whole new generation of Pastellists out there. It is by far my favourite medium of all of them. If I was any more of a girlie I would be running around my studio space yelling “Wheeeee …” and doing my happy dance. 1. Library of courses – good starting point to learn all the basics, drawing, perspective, tonal values, etc. 2. Live training sessions – I love the idea here, where we can learn from you “in the flesh” so to speak. Sometimes seeing how something is done is easier than learning from notes etc. 5. Earning a living from Pastels – Really love this one, I am passionate about passing on knowledge and will definitely be looking at this! With regard to the pricing structure, the figures you have come up with are all very reasonable and I would say they offer great value for money. I myself would probably fall into the $45 – $60 per month category as funds are somewhat limited but when you are that passionate about something, you will make it happen! I look forward to learning more about the Academy and would like to say a heartfelt “Well Done” to you for your vision and determination. Oh you have made me laugh!!! You do your happy dance. Yes I hear you – I ak currently working on the CORE courses, eg pastel basics, drawing basics. portrait basics, and painting composition. When I have them ready I am ready to launch. The thing is i shall be working on courses for a lot longer – but getting the core courses up is vital. The forum is going to be a real resource. I am setting up a few under different subjects – one for beginners etc. The resources directory is ongoing – it will of course be added to over time. The Live training is a vital component – and I shall have fum smoothing out the techy issues but it will be worth it. So work is continuing. If you have read my new blog – about Pastel Pencils and Landscape – I have a few questions up there you can perhaps answer for me. Meanwhile thanks for your enthusiasm -it helps believe me. Hi Heather, Love the concept of the academy, $45 a month is affordable. Its this academy relevant to pastel users outside of the UK. eg Australia? How much information is there for self taught artists who are trying to make a living from their work. As well as developing and boarding their knowledge and skills.. 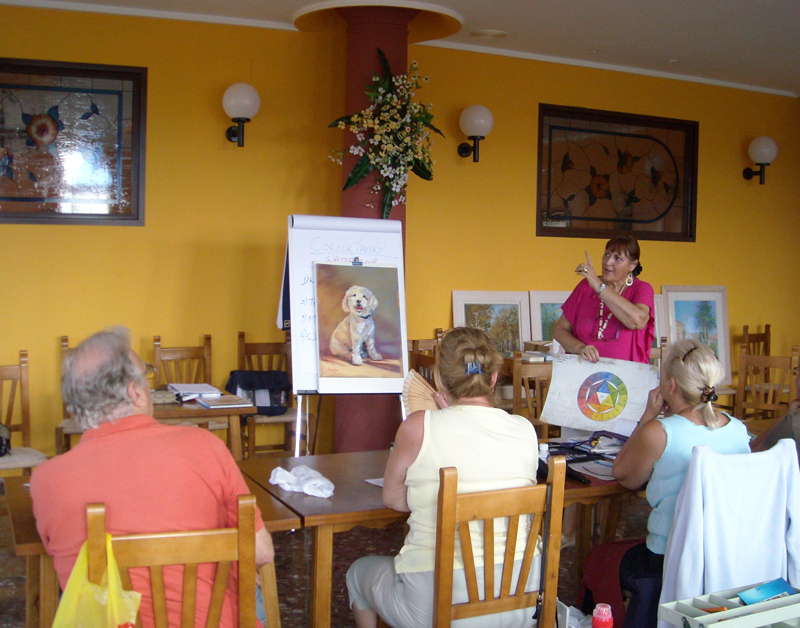 Yes the Academy is relevent to all pastel artists worldwide – providing they can understand English. Translation must come later. The upper level – Platinum membership is leveled at those wanting to earn from there work. Part of the motivation for me to do this is to breed a new level of pastel tutors for instance. There will also be marketing advice for those who just want to sell. Hello Heather. Thanks for contacting me – I look forward to seeing what you have in mind in offering your courses. I am a pensioner, therefore on a fixed income, and reading through the previous blogs, it sounds like the majority have more disposable income than me. However, being self taught in pastels, there are many things I would still like to learn. I have become passionate about painting animals which don’t seem to have been mentioned. Someone made a suggestion about doing modules on points of interest to your students which I thought would be a good idea, then we could commit to what interests us most? I could make a suggestion of about 15 to 20 dollars a month if I could concentrate on one aspect of pastel art at a time. I am not interested in making a fulltime career of being an artist, this is my hobby along with music lessons, and if I sell the odd picture at local charity exhibitions, then I am happy in making room for more art and being able to buy more materials so that I can carry on. Thank you for listening. When I planned the Academy – it included all the Core training modules in the lower price level which has yet to be announced. So hopefully what you are wanting to learn would be within that bracket. The benefit of the membership is that you have access to all in the level you have paid for. It is always the case of course that there will be some training which might be very valuable to you that you hadn’t considered at first. All this is being finallised as I write so I cant be too specific at this point. It all sounds interesting and has whet my appetite for more. In N.Ireland there isn’t much art tuition of any kind particularly available. 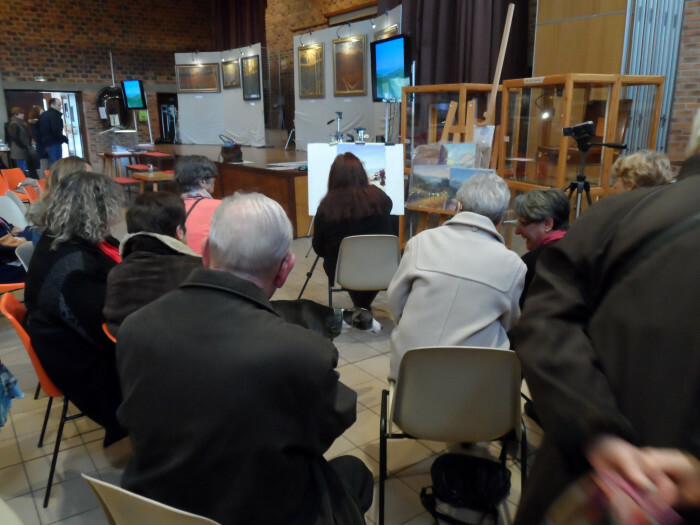 Although i was fortunate to be able to invite local pastellist Emma Colbert to our Leisure Art Class where we had a pastel demonstration which was the push i needed to get me to focus more on pastels and to stop struggling with a paintbrush. The more i stuck with the pastels, the better my work became and i am proud of most of the work i have produced since and happy to show it for critique and comments on pastel FB sites, which gives me feedback on how others perceive my work. I too have joined the Colin Bradley site, but only pay for the tutorials that are of interest to me, not many so far. I find the subject taught only appeals to me if it is something i want to do draw. I don’t want to be forced to do a tutorial on something i find boring, that’s why i like to pick and choose what i buy. You’ve seen my work and will know that i vary my subject matter from animals, portraits, landscapes, quirky fun subjects, florals, etc. Something grabs my attention and i want to capture it. I’m self taught and enjoy the feedom i’ve enjoyed through my learning experience. I would like tuition but am a bit resistant to conforming to having to do every lesson. I don’t fully know how you plan to run the tutoring. As far as cost is concerned, i don’t understand dollar prices so i’m quoting GBP here, but somewhere in the region of £20-25 would work for me per month or £100 for a year would be the maximum i could afford in one big payment. I don’t know if that helps or hinders, but you did ask! Lol! Oh! Thank you for all your effort at getting the academy up and running. you will be able to pick and mix what you learn from each training. Only in a couple of core subjects will there be ‘set’ lessons. in the majority of training you can apply what you are learning to your own preferred images, and when that is not the case there will be a good and sound reason for it. So no – there is no requirement to do ‘set’ lessons, and you will be able to choose your images. SOmetimes I will provide them – but only when I think that using it will be educationally important. So this is not in any way shape or form going to be anything like the Colin Bradley approach, which limits the learning process too much to be able to advance very far. As I understand it it is basically copying exercises which are provided and that is why you feel the need to pick and choose. My aims as a pastelist is to produce work that I can confidently submit to open exhibitions, and to become a better tutor to be able to spread the pastel word!I feel I have been stumbling in the dark, without any kind of direction or mentor. As for costs this is a very difficult one, as at the moment I have not been on any really meaning full workshops to judge what fair costs are. Maybe between $30- $60 a month. I hear you Keith. I have been there. Having had no mentor myself I know how it feels and in fact teaching became my mentor I suppose. The cost issue is difficult. In effect I am providing more than any one workshop could ever do – and on a regular basis. But thanks for your imput on costs. It is all helpful. Thanks for your feedback. I started out in portraiture – and of course I still am a portrait painter. But one thing I have learned over the years is that to learn pastel fully – so that your portraits will benefit – you need to learn the basics of how the medium works – and that is best learned through landscape. There are a few reasons for this – but the main ones are that landscape makes you grapple with important painting ‘lores’ which need to be understood – colour theory, composition . perspective are just a few. I have never come across any pastel tutor who addresses those issues – as I do But the fact is of course without a good understanding of tonal values — none of our work ‘works’. So this is how it pans out – you can learn portraits – you can learn landscapes – but if you learn both – they both benefit from learning the other to an enormous degree. LOL. Does that make sense? The Academy is planned to fill in the holes in your knowledge. But you know the real key is ‘knowing’ what those gaps are. Most people dont initially – which is why part of the training on one membership level will include a personal assessment of your work from me. A portfolio review of sorts. Hello, having read through the comments you’ve already received , I shan’t go into detail on echoing what’s already been said . However some of it applies to me , low income ( heritage …ha!) , other mediums ( watercolour ) etc. Not being a fan of realism , I love colour , light and brightness in my artwork and fun and so would I benefit from the academy ? At the moment I get information from magazines and books , which is very helpful. My only worry is that I’d not be able to follow at a quick pace as it takes a while for things to ” click ” with me ( rubbish at learning anything ) ! Price wise , I’ve absolutely no idea as to what’s fair and acceptable, I’ll have to leave that to those that would know . Hey – I love that you crave something exciting which is not realism. I don’t think you will be alone. If you check out the blog – I have posted two landscapes – one realism and one not (more Impressionist). Oh yes you will thrive in an atmosphere like the Academy. I will go as far to say that there is a forum planned especially for non realistic – or non photographic work. As for pace – that is down to you. The Academy is not planned around the idea of a race to the gate. Learning should not be planned that way. People learn at different speeds and through different methods. Heather, I love what I have read so far. I would love to become a member of any class you teach, as I love the look of a finished pastel piece, but have great difficulty knowing how to use pastels. I went to art college and studied fine art. I work mainly in Polychromo pencils and water colour pencils, but also have used oil paints on canvas and watercolour acrylics and gouache. When at college we only did two sessions of 3 hours each with charcoal and pastel sticks which I found a huge challenge and really loved but was not getting the results I wanted so went back to using the mediums I worked well with. Since then I forgot about pastels, and concentrated on developing my technique with the mediums I was comfortable with. Now after thirty years I would like to learn how to use pastel in the way they are meant to be used. My only major issue now is that I live on a fixed income, from disability benefits and so any course I take must be flexible enough that if I can’t find the funds every month I don’t automatically lose out on the tuition I have already paid out – if I haven’t yet downloaded a particular section of that months coursework or literature would I still have access to it, or any video’s used for that month? Obviously I wouldn’t expect to be able to access areas that I hadn’t paid for, so could there be something set up so that access was only possible using a code for that month sent out with receipt of payment for that months membership? Great to hear from someone so passionate about pastels! As a membership site – and you being a member – you have access to all your member level material all of the time. It is down to me and my team to put out a level that people can afford and of course that is a minefield – a very difficult issue. But it is a good system – and having constant access to a teacher (me) and all the resources of the Academy is one of the great deals of being in the membership. Another is the fact that you can work at your own pace in your own time. (Yes it is a monthly fee or an annual one which includes a good discount.) On the subject of price – there will be a very good discount on the basic monthly membership to those who join when the site first opens. It will be the Academy Beta group – initially both enjoying and testing the site for gliches and issues etc. I hope that answers your question – except for the one about opting out of some months? That wont be an option because frankly it would be difficult to implement and even more difficult to accommodate within a full membership. Training is included within the membership and not available to purchase – initially at least. I am greatly looking forward to the Pastel Academy opening its “doors.” I am largely self taught in pastel. I have taken art lessons but my art teachers have no experience in pastel. After the first six weeks of working in pastel, I knew more than she did regarding the medium. Membership prices: I would be happy to pay $90 a month for tutelage, assignments, critique, and techniques to move forward. My Heilman is loaded and my paper ready to mount! I am self taught and have been struggling with different pastels and paper types for a while. I think I could learn a lot from the academy and am very excited to see how it develops. I would also be very interested in improving my drawing skills. I only work part-time so funds are limited but would definitely try to afford about 20 per month as I think I could learn so much as a beginner. I look forward to seeing the project develop and wish you luck. Hi Heather, I am a total beginner, and unfortunatly have very limited funds. So I would have to wait and see what price we would be paying. I’m passionate about all art, mostly pre Raphaelite . I would love to have more time to draw and paint but sometimes with my family commitments I have little time for me! I will keep reading your blogs and hope I can continue to learn and improve my work. Love looking at all the amazing artists that we have in the group. So much talent. Thank you for your response to my email and for your encouraging comments. I could really use some mentoring right now – both in developing my own work and for teaching. I’m also keen to find ways of developing my pastel classes as a way of both boosting my income and promoting the medium in the future. By the sounds of it, your Pastel Academy would give me the necessary tools to do this. I just have a couple of concerns though. 2) would I have the time to keep up with all tutorials etc? I know you’re keen to get feedback on how much folks would be willing to pay for this. Of course you’ll get quite a variety of prices people would be willing to pay but it’s all relative to individual circumstances and their priorities. For me, the only way I could afford your programme would be to swap my existing subscriptions. Considering this and comparing to say Anna Mason’s Watercolour online school (where her fees are $8.5/£12 per month, $42/£60 per 6months, $63/£99 per year) I would say that I could manage this for your Gold Level, plus say 20% more for your platinum level. As a pastel tutor, can I ask if there’d be a way of fast-tracking through your Gold Level to benefit quicker from the Platinum Level? Thank you for all your hard work Heather – I’m looking forward to learning more! Thanks for posting this here – I think it addresses some important issues. I have a set mission in mind; To provide a nurturing and supportive community in which to present my knowledge and experience a an artist generally and as a patelist in particular – the teaching side is an area where I know I can help a lot of people too. Re price: There are two issues -1) I dont want a massive community. I would rather work closer with less people, but people who are really keen to make some creative and career strides. 2) – Making it affordable. The problem is of course ‘affordable’ is a relative word. I could set the entry level at the equivalent of a coffee shop coffee a day – and some would say they can’t afford it. So it is difficult, but I am taking a great deal of feedback I am getting, into account. Time – your time and the time of the training is a lot easier to deal with. ‘Keeping up’ would not be an issue for many of the trainings – because it would be set to the member’s specific personal project and schedule. Other trainings would be more structured. In other words they will be a way round the time issue for everyone. Re getting from Gold to Platinum level; much depends on your entry level and what you need to learn of course. For some that time will be less. But once inside the Platinum level – it does not mean you cant still take the course training – the Platinum level encompasses the full site facilities. Thanks Maria – you will receive the updates for sure. Yes that is what the levels of membership are for – I still have a lot to work out but that is the plan, and to have a basic membership could be useful for many. I would be very interested in the academy as described. I have been looking at an atelier for drawing that runs $90/month but will forego it for now as they do not seem to have sufficient technical support to enable quality videos that can be viewed easily over the Internet. You will need to tackle that issue as well. I would welcome skill bulding projects or challenges. Too many courses I’ve attended all allow the student to work on whatever photo reference they bring in rather than making assignments designed to strengthen specific skills. Love the fact that you’ll also focus on improving drawing skills. Have you considered offering different levels/charges for critiques? Critiques from the community might be less cost than from a master paste list for instance. Yes the technical issues are many! It is largely down to you get what you pay for though. So I shall not be using cheap options for video for certain. Drawing skills and basic painting lore are a big passion for me. I see so many paintings which obviously show great skill with a medium and yet the artist has no or little grasp of composition for instance. It is annoying and easily addressed, and that is why I still to this day teach beginners (most wouldn’t be in my position – they prefer to work ‘workshops’ which are mainly non beginners – easy teaching), and alswyas they get the basics in drawing and painting not just pastels. One wont really work as well as it could without the other. Yes the different levels will reflect different content to a point. For instance it is of little use putting a beginner in the platinum professional level until they are ready. Critiques similarly have to be ‘graded’ to reflect the student’s experience, so yes as you say the top level crits will be more cost, because they will necessarily be more involved. i would consider up to $100 a month as I have easily been spending that to try and get my drawing skills up to speed. I will be taking a composition and design course next but have not yet found a course on color theory so I’m glad to hear you will also be emphasizing those areas! You will be filling a huge whole for those of us that want a solid foundation! I really appreciate your thought – especially re the basics. All the pastel technique in the world wont address poor painting knowledge poor drawing skills. From my point of view, if I had come to the conclusion that all that was needed was pastel techniques, I would have produced a couple of courses. I will be doing just that, but the Academy is about the approach to the whole artist – the basics are intrinsic to that, and it is the way I have taught all my students over 25 years to progress. So all the major skills required to produce good work will be on the agenda. Thanks for the information Heather. It sounds great so far. Question: Are we right to assume that joining at the platinum level will be higher? If so, I think it’s really important to have more than a single extra service offered in that category. Do you have any idea yet what the “other exclusive features” at that level will be? Something to keep in mind is that the advanced learners don’t necessarily have any more money to spend that the beginners but at the same time may not need access to some of the other categories of information helpful to beginners. So you might find that advanced people are not quite as interested. So could you offer two different types of membership costing about the same and allow people to pick and choose what modules that they would like to participate? I think this would be my consideration if I were about to sign up. Thank you for your support and enthusiasm towards the pastel community! Yes the Platinum level will indeed be higher. It will be a level more or less dedicated to bringing artists into pastel teaching and also cover art marketing and promotion. As you can imagine – it needs to be a level in itself. I have had some interesting feedback via my survey and other correspondence regarding ‘levels’. The one thing that is important I think is that a good Platinum member – no matter what their background as an artist or their grasp of certain techniques – will need to have gone through the training the Academy offers to some degree. It is my experience that so many pastelists can reach very professional levels of work but only within one genre or style. Also a great many have never actually gone through basic drawing and painting disciplines eg colour theory, composition etc. I can name many known names as I speak who are excellent at what they do but what they do is one thing. So I am putting the Platinum level together for the purpose of raising the game of those who want to teach pastel; I will be mentoring them as such. They may also take on a wider role in the Academy. I shall be looking to eventually invite some artists to put together a course for the Academy on their specialism. SO it is a massively interesting level to those who are teaching career orientated. Included in their package would be art marketing as it states in the blog. It is just another area of guidance I can offer the right candidates. ANd it is important that good tutors – well trained in pastel across the board – are part of what I am trying to achieve. Well!! It all sounds very exciting!! I would so love to be part of this – and appreciate that you’re an experienced tutor, what a wonderful opportunity! I think $60 a month would be my very outside limit – but I’m sure it’s worth far more than that!! It would probably be difficult for me to buy supplies and pay this – hmm. At $45 I could stretch to supplies as well I think. Im happy that this project is exciting to so many people! And thank you for answering my costing question. AS much feedback I get ont his the better I will bea able to come up with something – I hope – for everyone. That said I am aware that sadly I wont be able to please everyone. No exams! Rest assured. Challenges yes but nothing formal. I could get the Academy validated at some point by some professional body but there is little need. It’s Les here again, this is a fantastic blog to read and to get excited about. I like the format you are working towards because I belong to a couple of training/community style websites, one being Orange Arts where I am a group leader in the portraits group and the other one is Colin Bradley Arts who teaches pastel pencils. Both sites do have a members section where they upload their artwork and other members give comments or criticism on the piece, you have the right way of approaching the academy as a teaching school I much prefer that style, we are here to learn. Don’t get me wrong I really enjoy seeing other peoples work but perhaps a forum for members to get advice and guidance from others in case they are struggling. Overall the setup of the academy sounds wonderful, but you ask how much I would be willing to pay a month, you covered this very briefly, I am on a very low wage and could only afford to pay around $15-20 a month. As you know I have followed from the start of you mentioning the academy and so want to learn to use my pastels effectively. I will be eagerly awaiting further developments with the academy. Nice to hear from you again. Yes I am aware of Colin Bradley and as you can probably guess the Academy will be a whole different ball game. The Academy will have a members forum and more on that later, but yes the training is paramount. Great to have your thoughts. I am going to try to involve as many people int he Academy as possible – and yes I know for some cost is a barrier. It bothers me for sure. Heather, This wonderful source of knowledge excites me, because I am so eager to be so much better educated as a fairly new artist. The reason I am able to produce paintings that receive a high degree of praise is not because I have had any formal education, but because, I am told, I have a natural God-given talent. Yet I feel in almost desperate need of so much more knowledge, the foundation of which was a four-day workshop I took just a little over two years ago a long distance away. 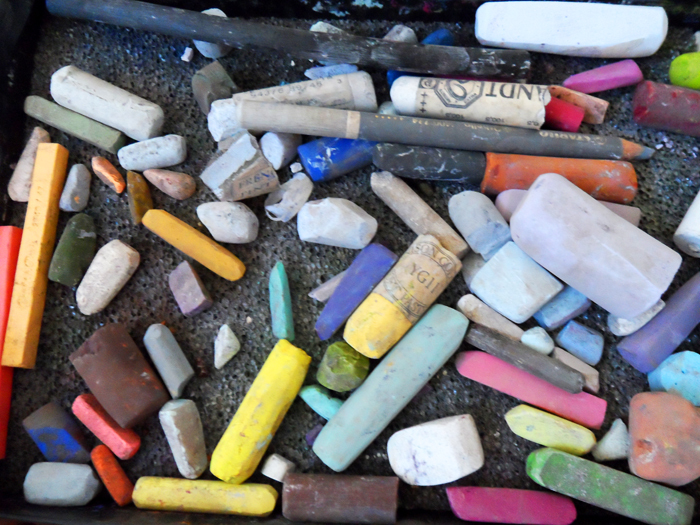 Nearly 90% of my knowledge came from that workshop and the Lesley Harrison model which is based on the velour substrate and the only apparent mediums suitable for use on that substrate – Girault pastels and NuPastels. I’m still behind in creating my own color chart for Giraults since I can only get them online, and the colors shown online are not accurate. Also, it’s a very lonely learning world for me, since almost everyone uses sanded paper, and there is a vast difference between that type of paper and velour. Yet as a realism artist, I do love the velour paper. There is a part of me that would like to be in the mainstream and which would love to use the deliciously buttery Terry Ludwig pastels, but they, nor any real soft brand, seem to adhere well enough to velour to make them a good source. Furthermore, I am still in a relative state of comfort with velour, yet still so much of a learner with that substrate as well as the Girault brand, that I am very hesitant to even try something different, at least any time soon. These are some reasons I feel like a dry sponge craving to soak up all I want and need to know to become a truly polished, productive, and sought after pastel portrait artist. It’s looking like your academy is my answer to my artistic cravings. I think the academy is worth way more, but, unless my art career grows significantly, the most I could barely afford is $30 a month. Big blessings to you, Heather. Your story struck a cord with me. I had no training either. I backtracked into art education as a mature student and invested in myself. Not everyone can do what I did – go to university in mid life – and that is one of the reasons I am excited about teaching online. Now I know you will understand what I mean when I say that it is my mission to introduce artists to pastel in the broadest sense. I know you are in a lonely world as things stand. It is part of that mission to make sure that an artist is never left in a position where they learn on one substrate and with one or two brands of pastels only – and yes that is what happens if you go to a specialist in one type of painting when you are just starting to learn. It is SO restrictive it saddens me. The beauty of pastel is is vast variety of approaches. To learn in just one is not helping you grow. Let me tell you something that might hit home. I was involved back int he early 90’s in testing Velour, and asking my group members to be a research group for it for the manufacturer. I heard no more from said manufacturer but velour was withdrawn from the market. No explanation from them – nothing. I can easily see that happening again. But more to the point, lessons were learnt from that and other materials that ‘disappear’ – and that lesson is – never get dependant on one surface no matter what surface it is. You dont need to with pastel – the variety of substrates out there is what makes it exciting. Substrates are a problem and prone to being withdrawn – for so long users of Wallis paper suffered when supplies dried up. Actual pastel brands wont ‘disappear’ in the same way – that said Winsor and Newton did. But you are restricting yourself far too much because it means learning about other papers? And you are ot learning about other pastels because Velour is holding you back – and yes – that can happen. Heather, I thank you very much for taking the time to reply to me. I was surprised to read that velour disappeared from the market since I order it regularly from Daniel Smith. It is the Hahnemuhle brand, and I purchase it pre-mounted on backing board. That being said, your comments as well as a workshop I discovered soon after my first post here, have increased my desire to learn on a more commonly used substrate. Again, thank you so much for sharing with me. And again, I’m eagerly anticipating learning many things from you. Happy to see you are spreading your wings a little more re what substrates to use. The old saying is ‘Dont put your eggs into one basket’. Not only that you will learn a whole lot more. 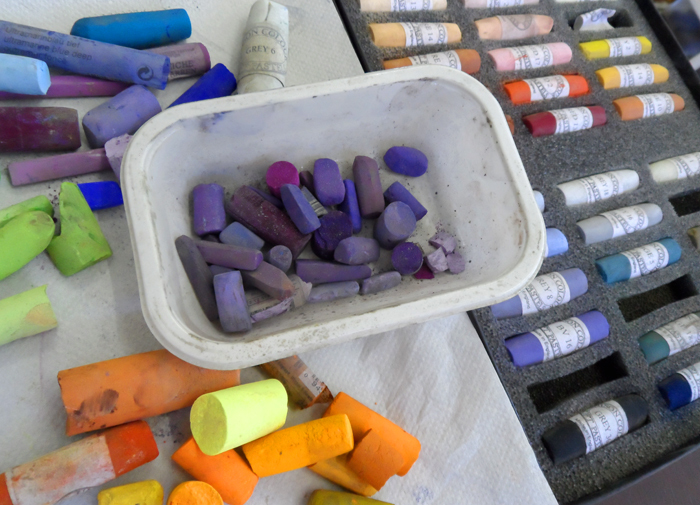 I love that you’re working on a great resource for pastel artists. I have yet to find a teacher in my area! So, here I sit with a very, very nice set of pastels, sanded papers, easel, a few accessories, and no idea what to do with them. Regarding the fee, I would rather pay per class than a monthly fee. Some months may not be as productive as others and I can go at my own pace. I also do pottery and paint in acrylics. Lovely to hear from you and yes it is sad to have all the materials and no idea what to do with it. The Academy is geared to by used at your pace Meredith. There is not provision in any membership site to pay per class – but that is good because you need a more structured approach when just starting. With that in mind I shall be running beginners programs – again at your own pace, but all months will be productive. I only started with soft pastel about 12 months ago, after seeing a friend of mine painting a portrait at a local art class that he had invited me to. I was hooked. I came home and did my first portrait of my wife, and was over the moon with it. However, it was hit and miss, and my friend lives a good way from me and is always busy. So the Pastel Art Academy would be an excellent class for me to further my keen interest in pastel. There are lots of demonstrations on YouTube for free, but to interact with someone as talented as you would be a fabulous benefit to anyone who is interested in the subject. I am self taught and must be making lots & lots of mistakes that I dont realise. Any of the prices that you have mentioned above are all reasonable for the amount people will get out of the classes. I would certainly look with interest at the final price that you charge, and wish you well in your developing project. Thanks Billy. I note your points and in all honesty you represent a lot of people who are ‘managing’ on their own, when all but for a little pro guidance they could do so much more and so much more quickly. The pricing issue is a biggie. Of course there are already mounting costs and those are going to increase but more than that – the value the Academy offers is massive. I’m a tutor and I know that. So it is down to me to find a good price point for the membership levels. Watch out for further updates Billy, and thank you again.